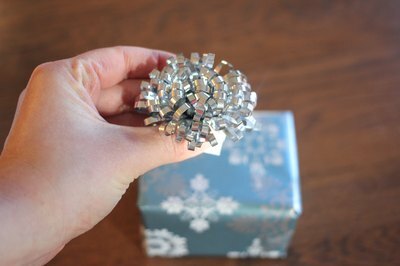 Many boxes are perfectly cube shaped, which may make them more difficult to wrap than a rectangular-shaped box. 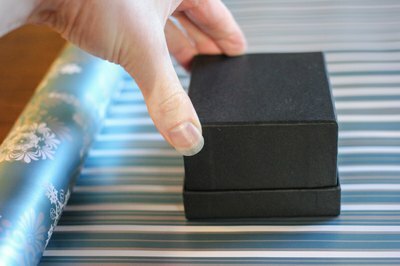 Learning how to wrap a cube-shaped box or object will make gift wrapping easier all-around, as the techniques are the same for many different-sized boxes. 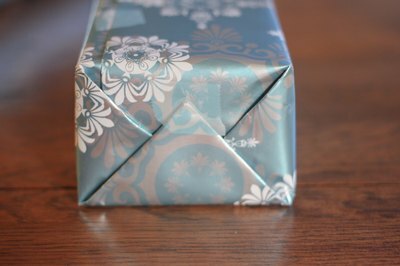 Not only will knowing these techniques help on birthdays and holidays, but you'll also find it easier to wrap packages for shipping. 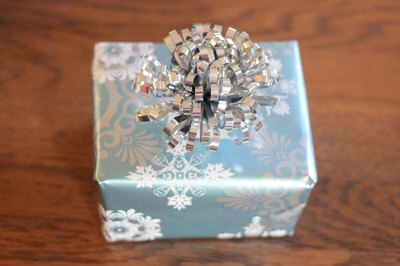 With some tape and paper, your package will look like it was wrapped by a professional. 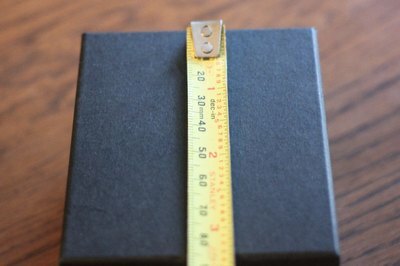 Measure one side of the cube-shaped object. 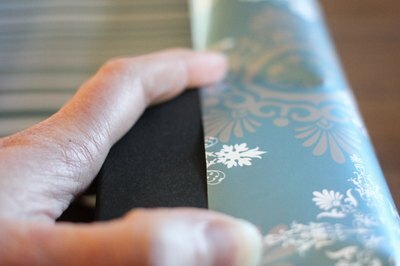 Open the roll of butcher or wrapping paper and lay it facedown on a flat surface. 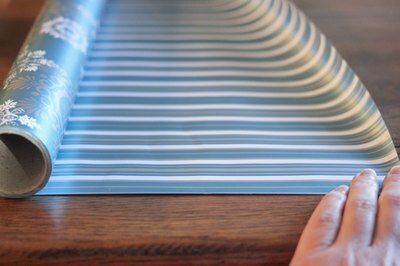 Sit in front of the paper with one edge (versus a corner) of the paper facing you. Place the cube-shaped object facedown on the bottom right-hand corner of the paper, with the entire bottom of the object on the paper. Move the object to the left one and a half times the measurement you took in Step 1. For example, if one side of the cube is 10 inches, you will move the object 15 inches to the left. Slide the box up to 3/4 the measurement you took in Step 1. For example, if the side of the cube is 10 inches, you will move the object up about 7.5 inches. Fold the right side of the paper up and over the cube so that the edge of the right side lands at about the middle of the top of the cube. Tape the edge to the cube. 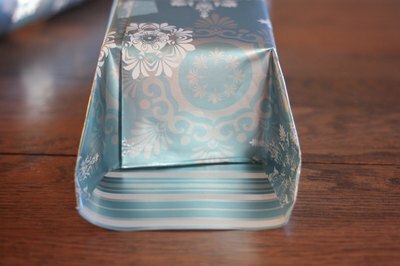 Fold the left side of the paper (which may still be on the roll and that's fine) over the top of the box so that it overlaps the right edge of the paper by about half an inch. Cut the left edge of the paper at that mark in a straight line. Tape the left edge down so that the top of the cube is now covered. Measure from the back of the cube 3/4 of the measurement you took in Step 1 and cut the excess paper so that the back part of the paper is the same size as the front part. Push the center top flap of paper in toward the cube on the front of the cube so that it looks like there are two triangular flaps on either side sticking out toward you. Press each of those triangular sides toward the center of the front of the cube with one overlapping the other. Tape these flaps onto the front of the cube. Fold the bottom flap, which now should also look like a triangle, up toward the center of the front of the cube and tape it with one piece of tape in the center. Repeat Step 7 for the back side of the cube. Turn the box over. Place a mailing label on the top of the wrapped cube and your package is ready for mailing. 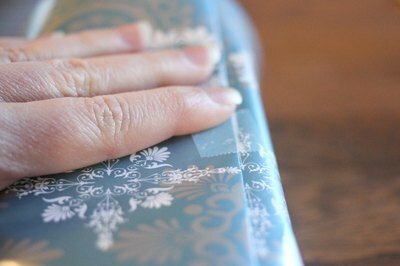 Proceed to Step 9 if you're wrapping a gift with wrapping paper. Stick a bow to the center or the side of the top of the box. 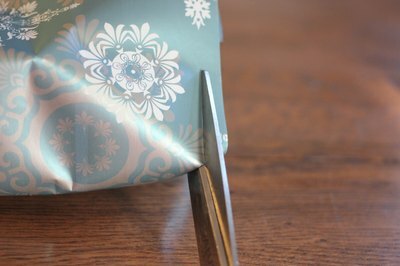 Attach a card by sticking the corner underneath the bow and taping the back of the envelope or card to the top of the box using double-sided tape.